Motherwell and Hamilton bring the league season to an end at Fir Park on Saturday. The local derby gives us one final tune-up ahead of next week’s Scottish Cup final. The pressure on the visitors eased in midweek when, despite a loss to St Johnstone, they were assured of Premiership football next season. Some may be disappointed that Hamilton’s fate will not depend on the result of this weekend’s game but a lowering of the tension could produce a better football spectacle. Accies will have freedom to experiment with some of their fringe players while we can refine plans for the trip to Hampden. At the same time the prospect of finishing the fiftieth competitive game of the season with a win would likely deliver us seventh place and boost morale ahead of the final. 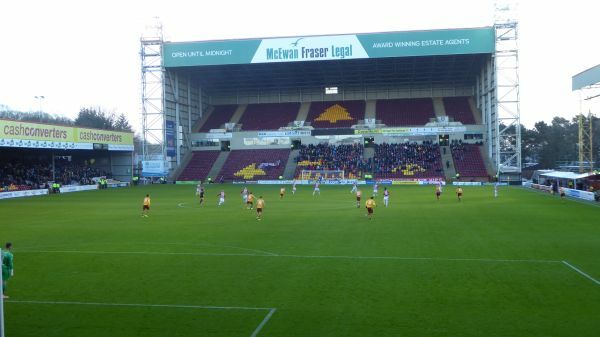 Motherwell had a bit of a revival on Tuesday with the win at Firhill. The return of Bowman and Kipré brought us closer to full strength while the fine league debut of Turnbull added some fine touches to midfield. But it was the subtle change of approach and appearance at half-time of Bigirimana that turned the game in our favour. Tait and Grimshaw were unavailable due to illness and injury and no risk will be taken with them if they are not fully recovered. Only a bizarre set of circumstances could force Hamilton into the play-offs. They are three points and 13 goals ahead of Partick Thistle, a lead that is virtually certain to guarantee more Lanarkshire derbies next season. Martin Canning and Dougie Imrie both vented frustration at the defensive errors they commit. The numbers suggest they have every reason to be critical – they have scored 47 (7 more than us) but conceded 65 (49 for us). Let’s hope they don’t find a cure on Saturday and that we can look forward to the cup final after a 2-0 win. Remember the last visit of Hamilton?